Email bakedbeauties@live.com with your requirements. Call 0779 524 3018 or 0778 396 2608, Monday - Friday between 9am and 5pm (leave a message if we don't answer). 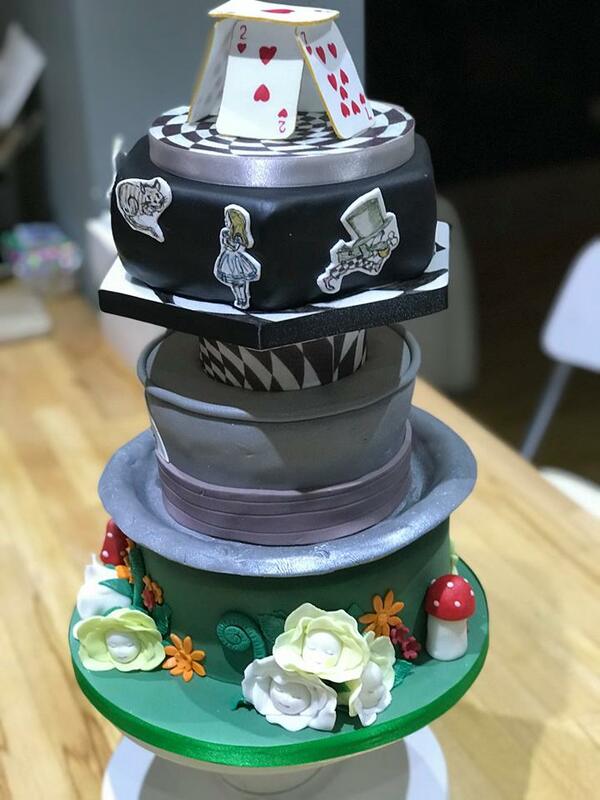 Alice in Wonderland themed cake for Emma’s 40th birthday. 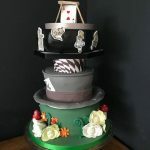 Cakes were vanilla bean and the Hatter’s hat was chocolate with a milk chocolate ganache/buttercream. The ‘spacer’ between the top and middle tiers. 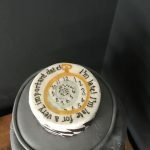 Rice paper around the sides with black and white tile effect done in edible ink, and the top of the spacer iced to look like the White Rabbit’s pocket watch – details done with edible ink pens. 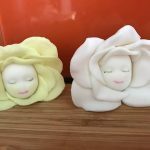 The talking flowers made out of modelling paste. 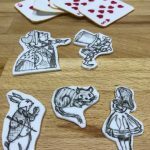 The playing cards and characters, made out of modelling paste, with edible ink drawn illustrations. 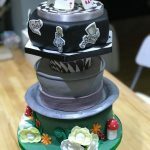 The character illustrations had colour added to them when in place on the the cake.